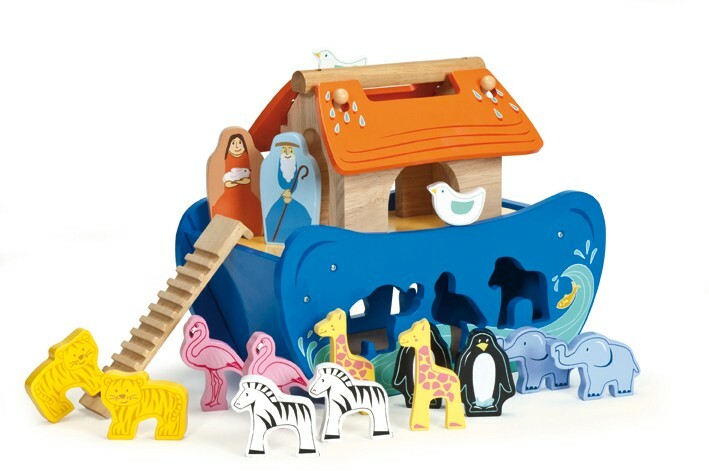 This brightly painted ark has 7 pairs of cute wooden animals and is also a shape sorter. Noah and his wife can also be shape sorted in the upper deck. The ark has a sliding door that allows access to the hull and a carry handle.